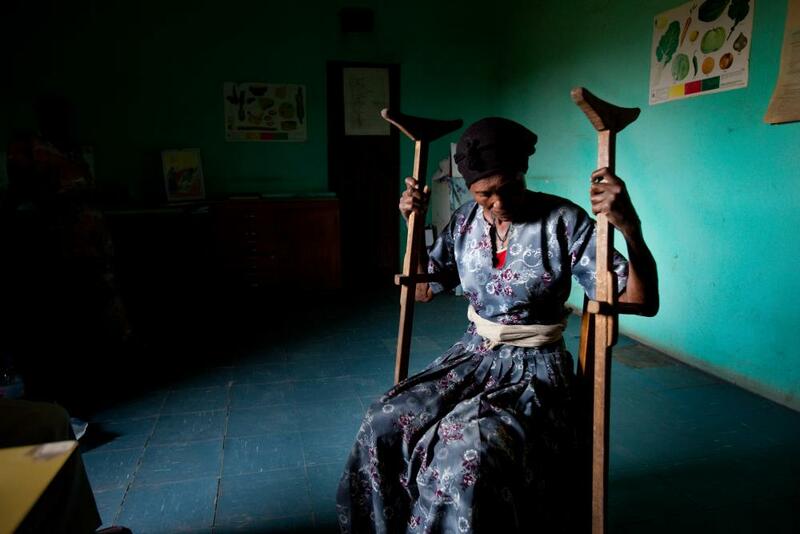 A woman looks away after explaining to a health worker that her husband left her for another woman and leaving her without funds to pay her health care. 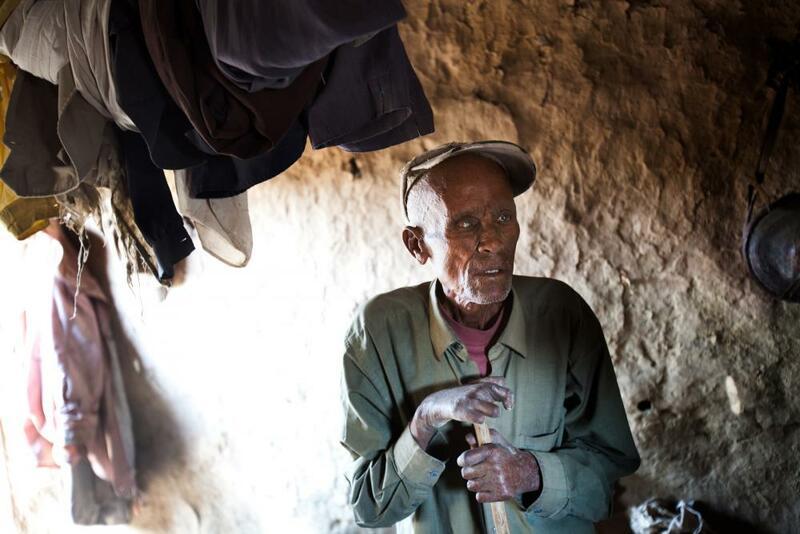 The Ethiopian leprosy village, Addis Hiwot, was founded in the 60’s by European missionaries and received support by the Ethiopian government. 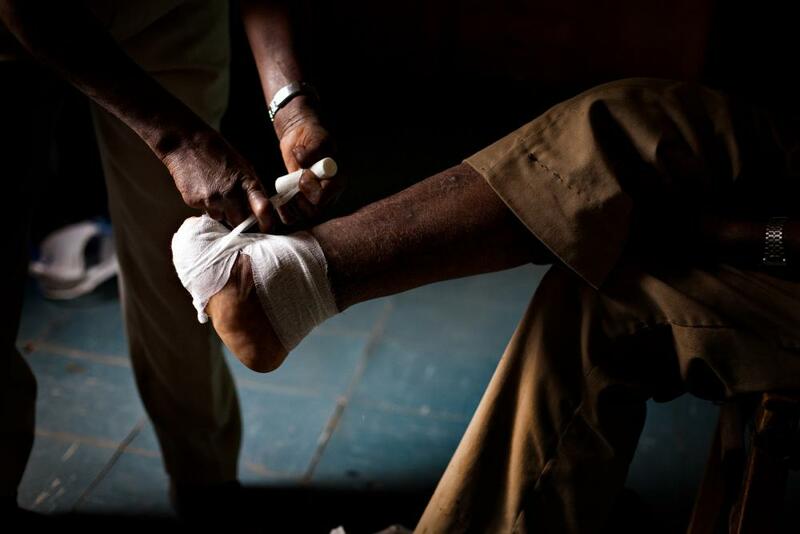 After the Marxist coup in ’74 the foreign workers were expelled, the water and electricity disconnected and thousand of villagers were left with arid fields and a lack of adequate healthcare to treat their leprosy. Over 30 years later the living conditions seem unbearable but with the help of a few devoted individuals the situation is slowly improving. 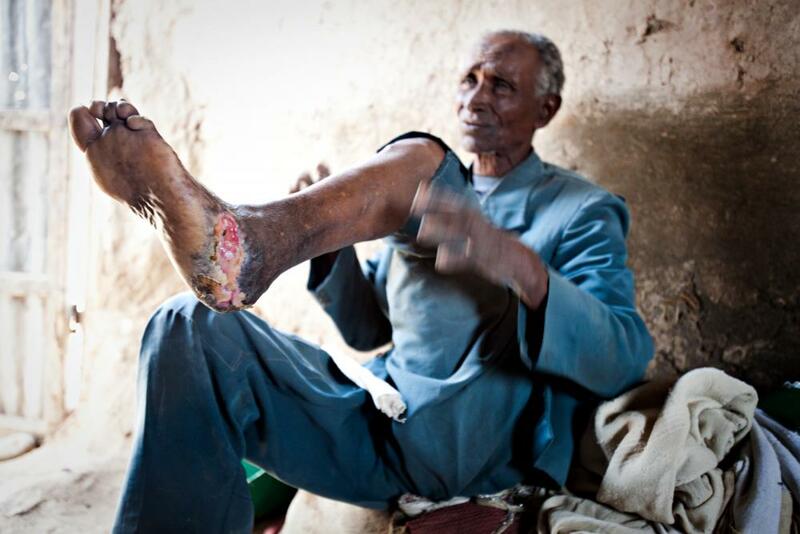 A man receiving treatment for his leprosy ulceration. 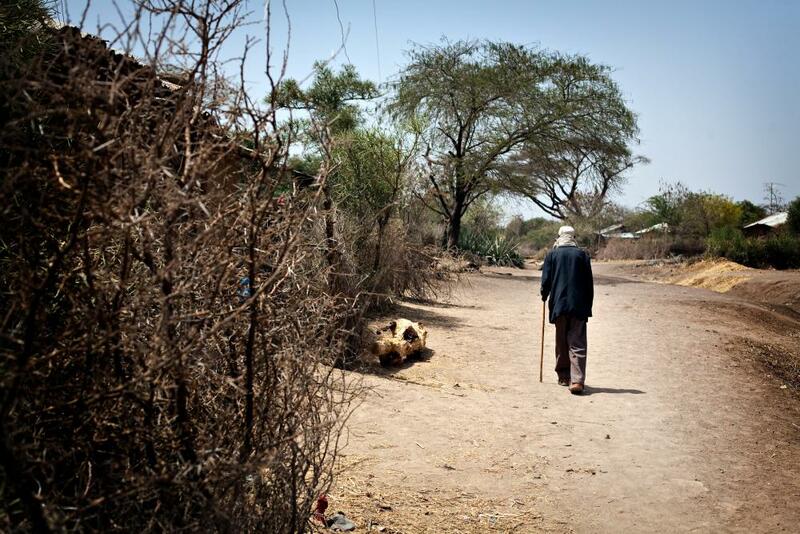 A man inflicted with leprosy walks through the leprosy community of Addis Hiwot, Ethiopia. 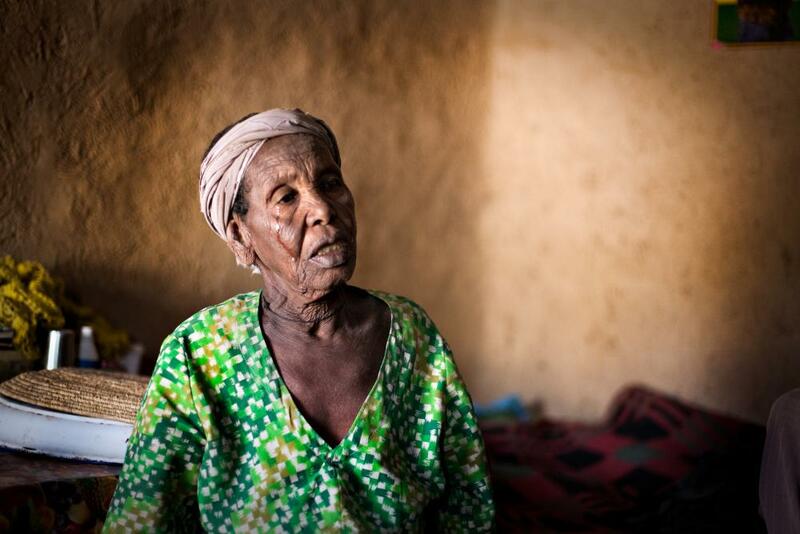 A woman sheds a tear while explaining the current conditions in the village. 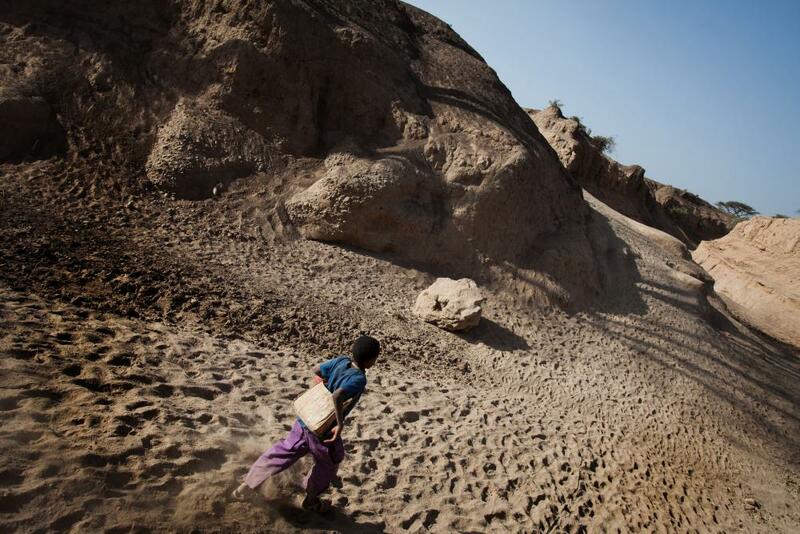 A boy runs through a dried up riverbed on his way home from school. 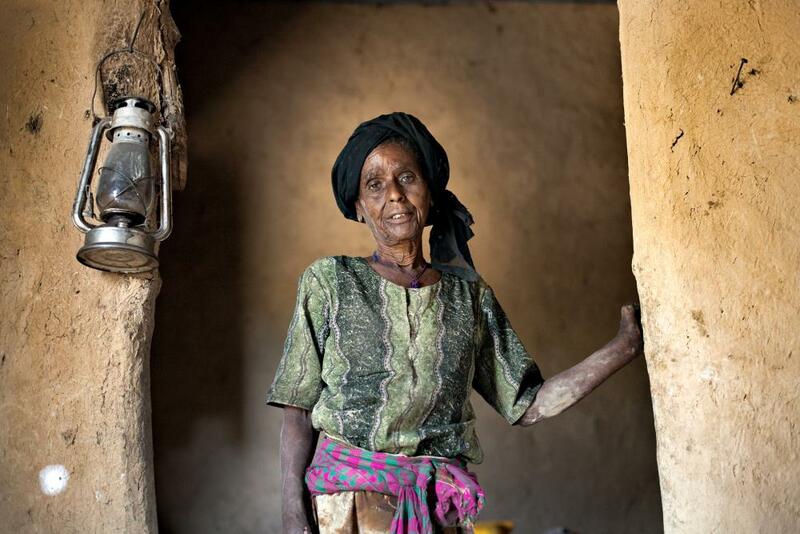 A female leprosy patient in her newly renovated house. 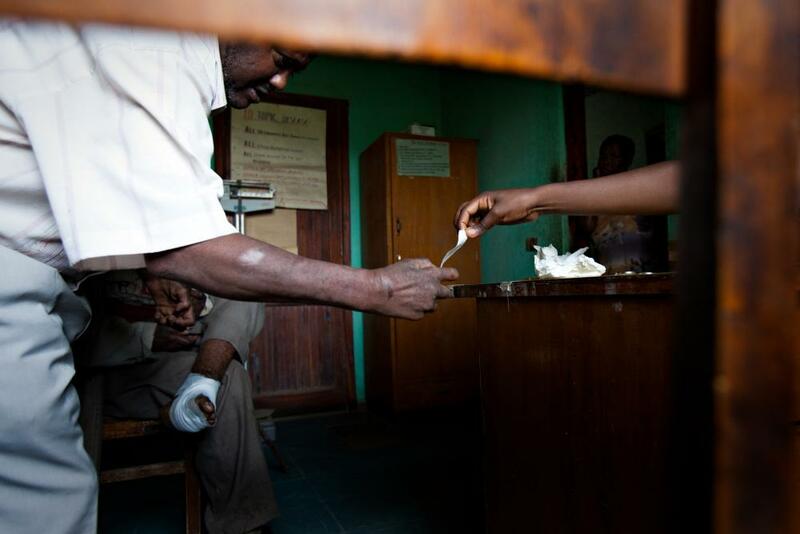 Shugute Mossa receives a roll of gauze for his leprosy ulcerations. 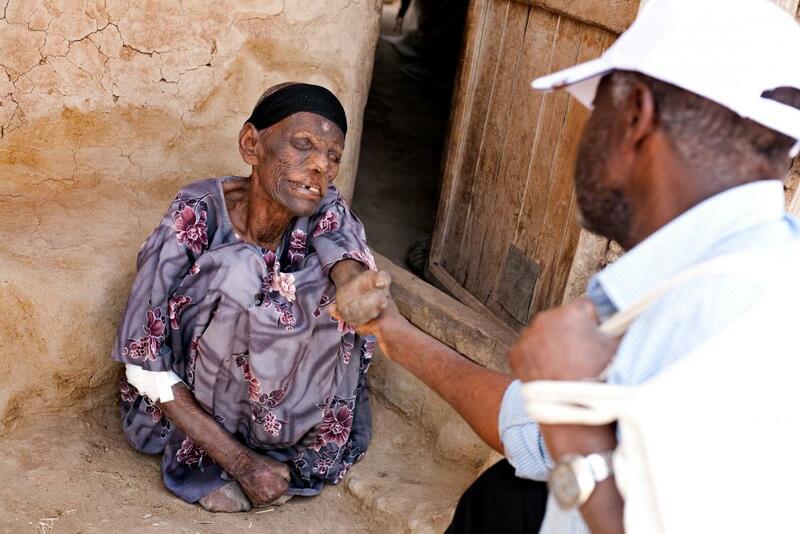 Mr. Wanore visiting a leprosy patient. 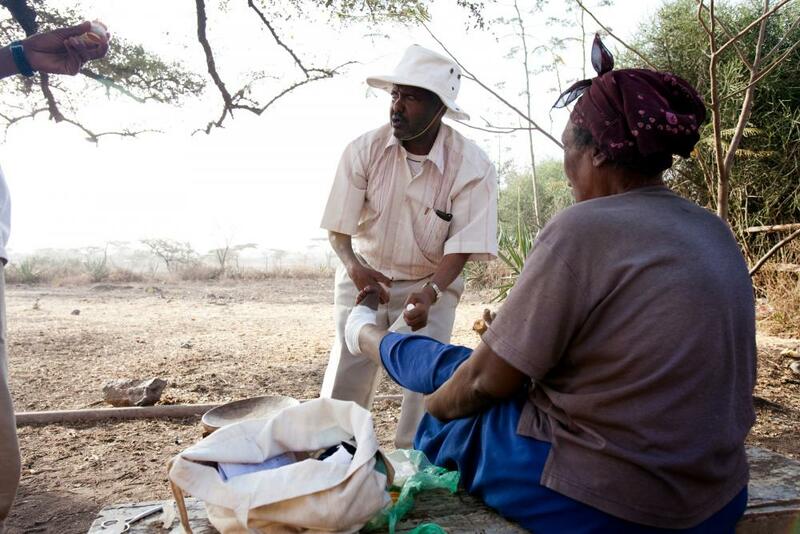 Mr. Wanore receiving help washing a leprosy ulcer. 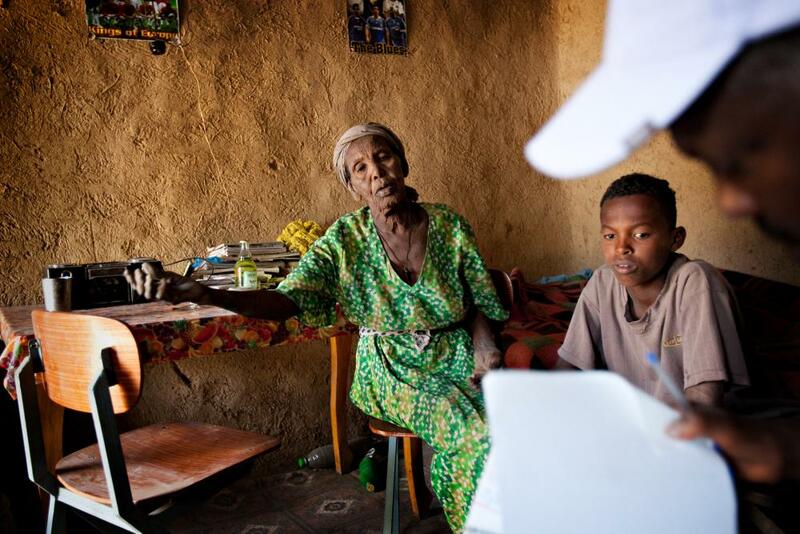 Mr. Wanore speaking with patients. 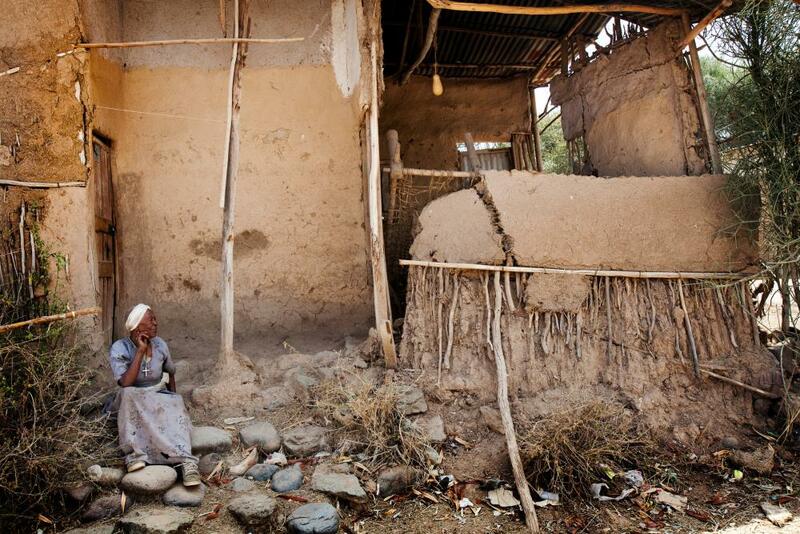 A woman sits outside her dilapidated mud house. Mr. Balay Zereyho inside his home. 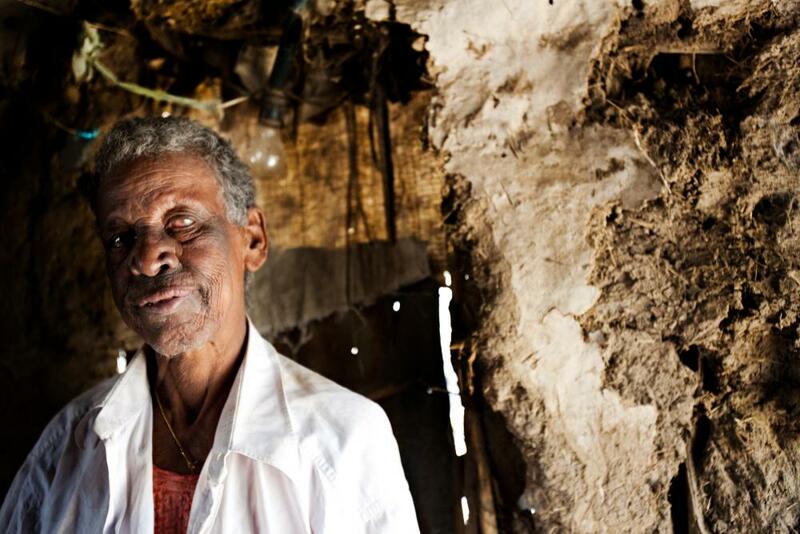 A blind leprosy patient awakes from her sleep. 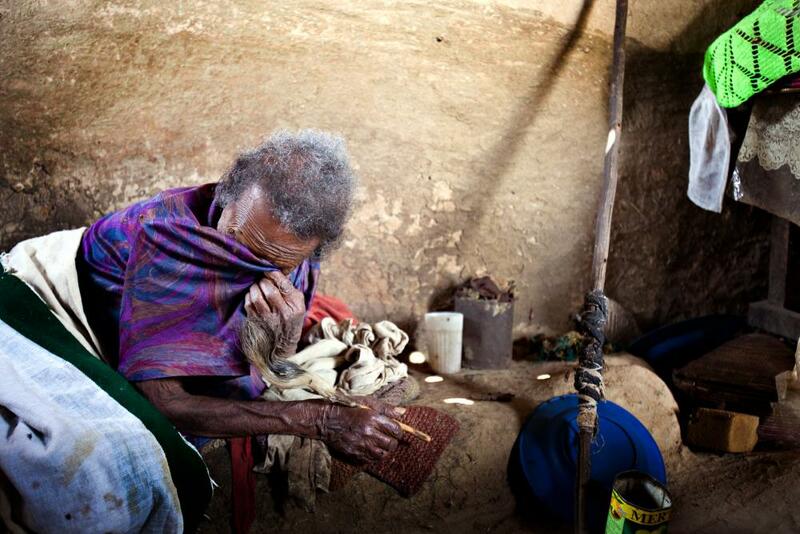 A blind leprosy patient in his home. 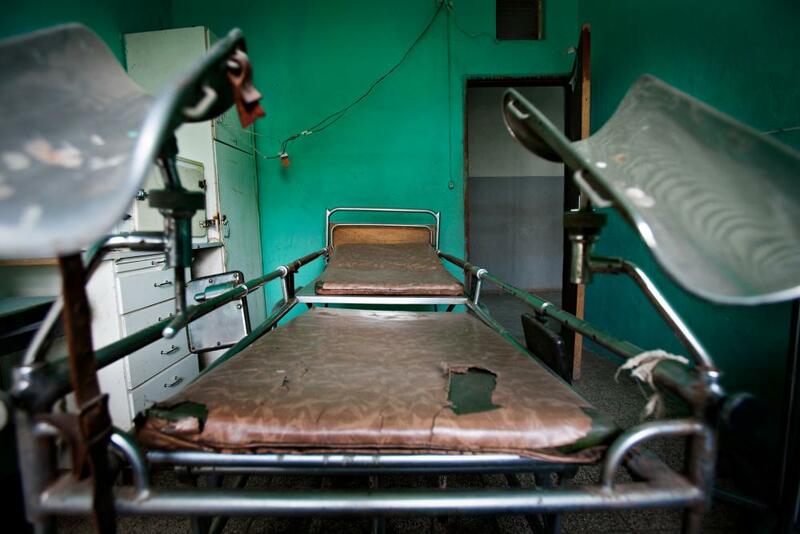 The government run health center in Addis Hiwot. 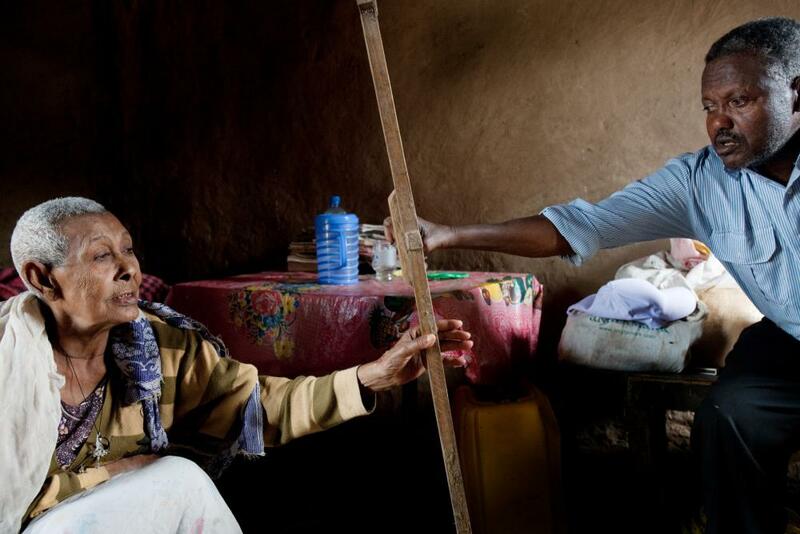 Mr. Wanore tending to a female ulcer patient. 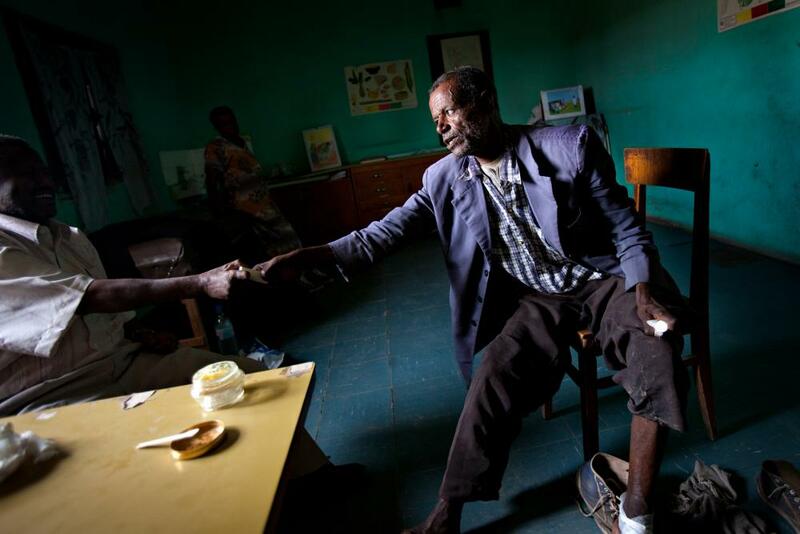 Mr. Wanore tending to a leprosy patient. 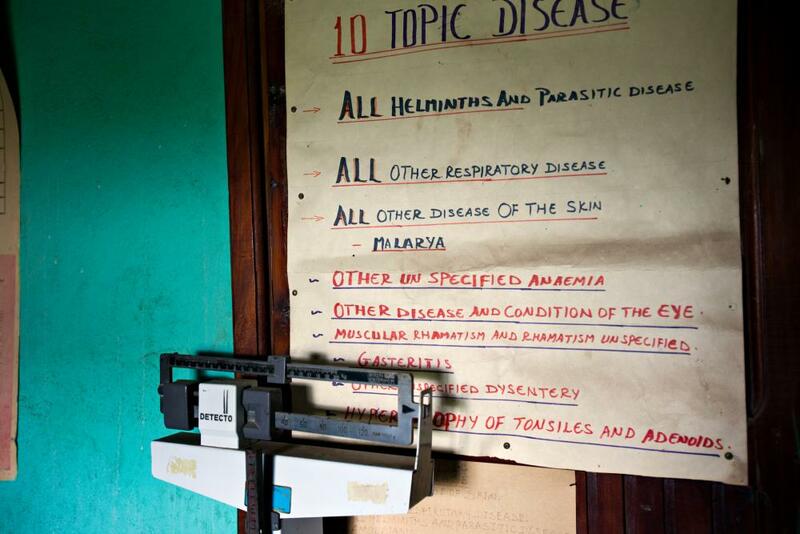 The government run health clinic in Addis Hiwot. 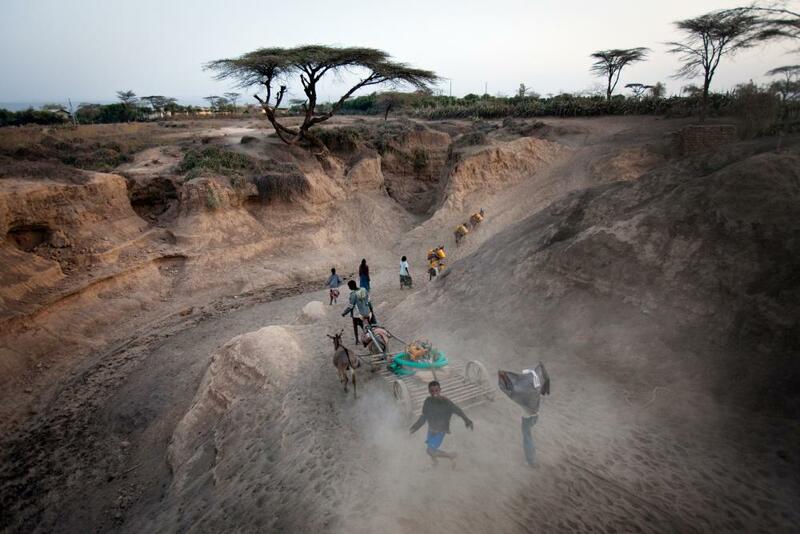 Children returning to the village after fetching water.